electronica is the world’s leading trade fair and conference for electronics. The trade fair is the most important meeting point for the electronics industry and also features a supporting program with forums and conferences, such as the electronica Automotive Conference (eAC), the electronica Embedded Platforms Conference (eEPC), the electronica Medical Electronics Conference (eMEC), and the Wireless Congress. 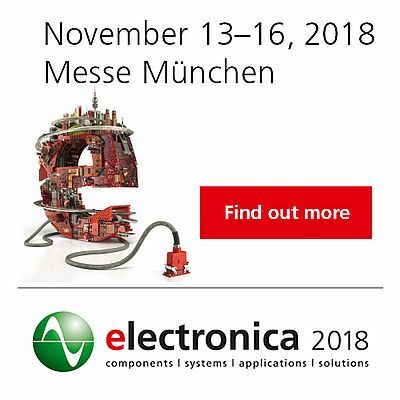 electronica Experience will be debuting in 2018 with live demos and applications in Hall C6. The electronica Fast Forward Award has been presented since 2016. Around 73,000 visitors and more than 2,900 exhibitors took part in electronica 2016. electronica was founded in 1964 and has taken place every two years in Munich ever since. The next event will be held from November 13 to 16, 2018. In addition to electronica, Messe München International also organizes electronica China and electronica India. This network of electronics trade fairs also includes productronica in Munich, productronica China, productronica India and eAsia.